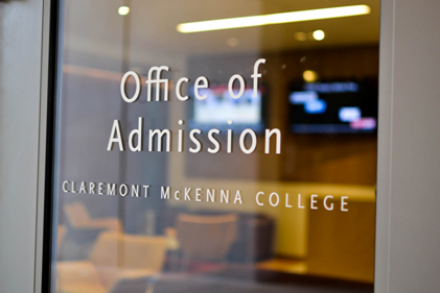 For the past five years, Claremont McKenna College has invited approximately 30 high school seniors for a four-day long preview program taking place in three waves: one week in the fall and two weeks in the spring. Serving as a diversity initiative, the program allows students from underrepresented minority groups to experience CMC, usually taking place from Wednesday to Sunday. This particular interval includes Thursday and Saturday — two of the biggest party days on campus. However, this year's fall preview only lasted from Sunday, Oct. 8 to Tuesday, Oct. 10, which significantly reduced the duration of the students’ stay. In addition to diversifying the student body, the preview program promises a fully encompassing CMC experience, but with the change, it now fails to fulfill this promise. CMC takes pride in its highly social culture and prevalent party culture, but if party days are excluded, how will students ever see it in action? Moreover, placing the program in the middle of the midterm season did not help the hosts, even though it partially disclosed the academic rigor to the students as one CMC student commented. Just earlier this year, I participated in the preview program, eager to get a glimpse of my soon-to-be new home. During my time, I engaged in academic workshops, attended financial aid info sessions, and forged new bonds. Amongst all of these activities, the program still set aside time for fun. Luckily for me, Thursday was included, so I attended Thursday Night Club (TNC) with a few of the current students. I even got invited to a pre-game. Come Sunday, I did not want to leave campus or return to my pedestrian life back in Little Rock, Arkansas. I saw a life full of exuberance and overwhelming opportunity, but only through the vignette offered by this program. Immersed in the college environment, I truly felt like a CMCer, if only for three days. Now on the flip side, I hosted a prospective student who felt unsure if he fully experienced all aspects of CMC. Sadly enough, he was not the only student to harbor similar feelings of uncertainty. The other hosts and I disclosed as much truth behind the campus culture as possible; however, words only reveal so much and are no substitute for first-hand experience. After all, the students came here to preview CMC, not to just hear about it from current students. On another note, some of the older students on campus have expressed concerns about the actual authenticity of the program. You spend four days on campus with students who come from similar backgrounds but arrive only to realize the immense privilege of the collective student body, which, once again, emphasizes the student’s minority status. I understand where this concern comes from, but it is also important to address the impact of socioeconomic status on students’ ability to visit campus. Students from wealthy backgrounds have the ability to visit campus whenever they choose. Some of the students visit on days with parties while others do not, but they have the luxury of being able to plan a trip around their specific wants and needs. Preview students do not have this privilege, so why further limit their brief CMC experience? The goal of the preview program should be to provide a similar experience to that of a current student, not to try to convince the students to attend by romanticizing CMC’s culture. Excluding party days does not aid in this effort. If you ask me, CMC Admissions delivered a disservice to this batch of prospective students. The act of advertising one image but then actively withholding that image by omitting certain days left students in the dark. This is not to say that the program failed in other regards because if given the chance as a senior to partake in the fall or spring preview, I would do it all again—with or without the parties. One thing is for sure: the program's mission to increase diversity and lessen the burden for students from low-income households to visit campus highlights an important disparity in college culture. The only factor missing is the complete and authentic experience, as promised to all prospective students.